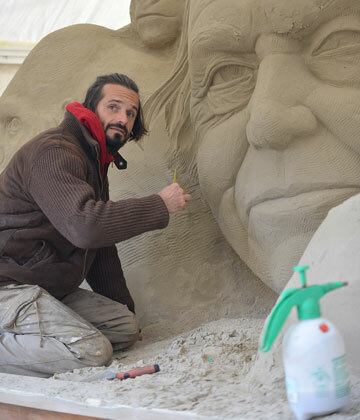 "A must - amazing 3D sculptures"
OPEN DAILY FROM 10.30am. Closing times vary. 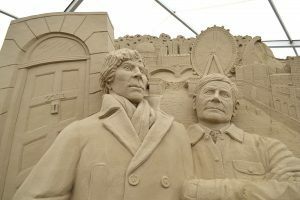 At Sandworld we're always changing; here's some of our past favourites. 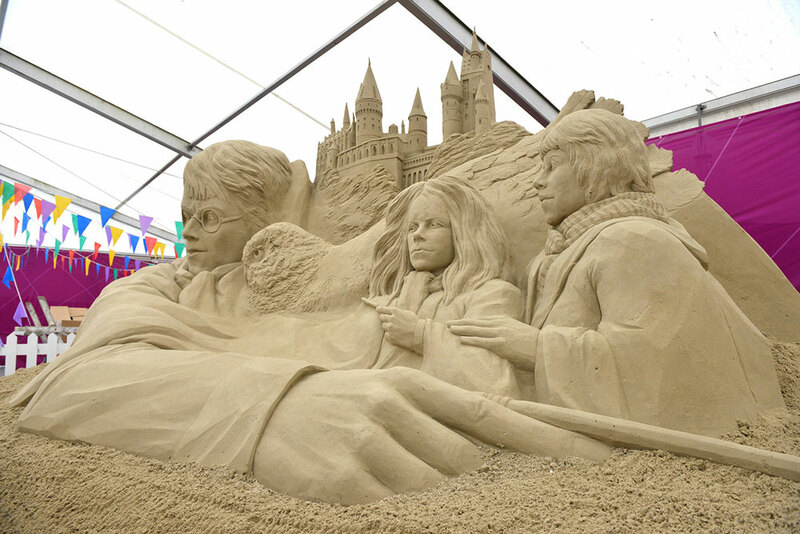 There was something very magical about our Harry Potter exhibit; we loved encapsulating the sorcery of Hogwarts with sand! Bringing the T Rex back has to have been one of our favourite projects over the past. You’ll find more photos in our gallery section! 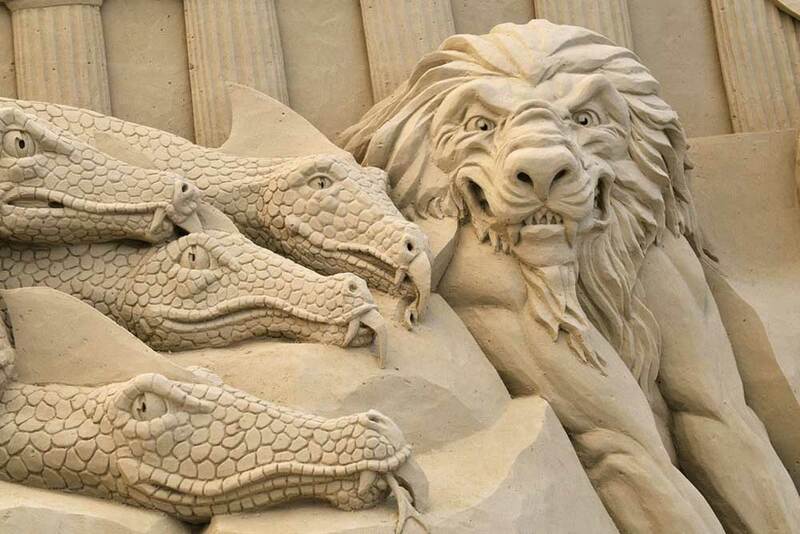 We were incredibly proud and pleased with the level of detail on these serpents and lions from a well known Greek myth - a real crowd pleaser. For many of us, going on safari would be a dream come true, but at Sand World we've already had some of the world's largest animals come and visit! 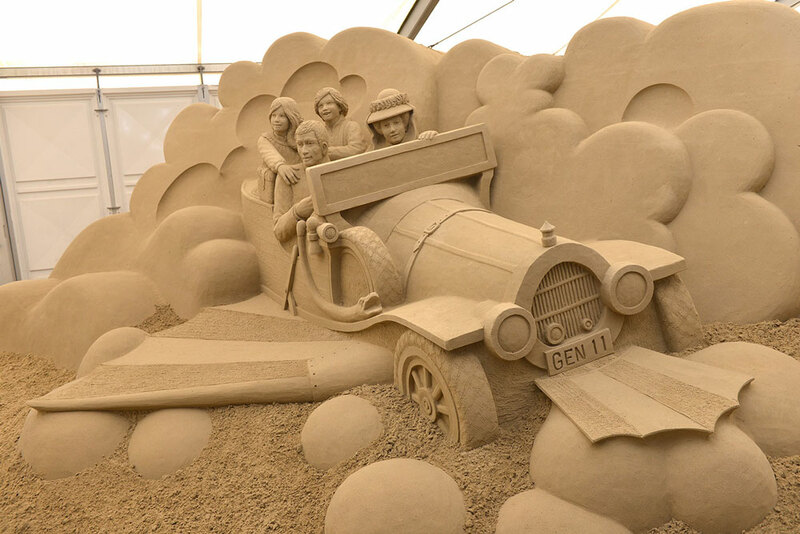 The film is now 49 years old but the car has made an appearance at Sand World in recent years. 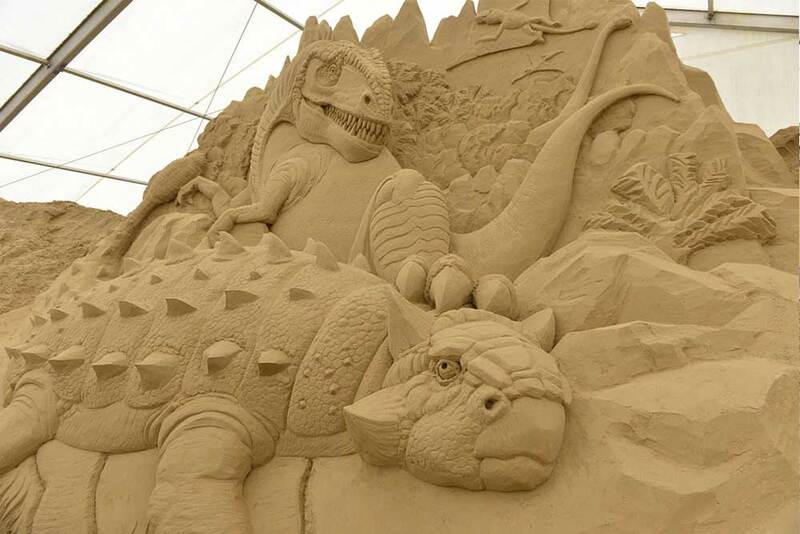 It might be a bit slower in sand though! 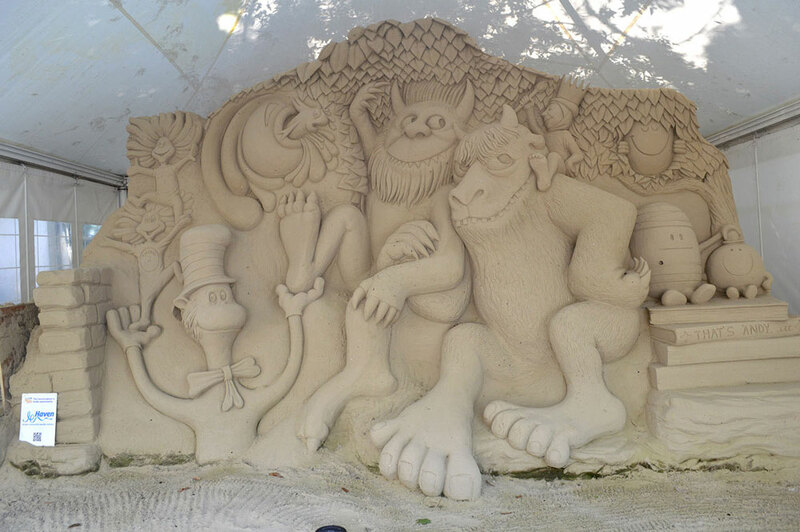 We don’t see many children that aren’t huge fans of these characters, which is why we had to create this great sculpture for visitors to enjoy! Planning on visiting us soon? Here's what you might need to know. 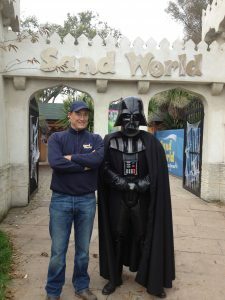 Plan your next visit to Sandworld. 8 OR MORE - CONTACT US FOR YOUR BOOKING. One of the VERY best value things to do in Weymouth, the staff were kind, caring and very helpful. Our children (4,11 and 16) ALL loved this, as did we all. 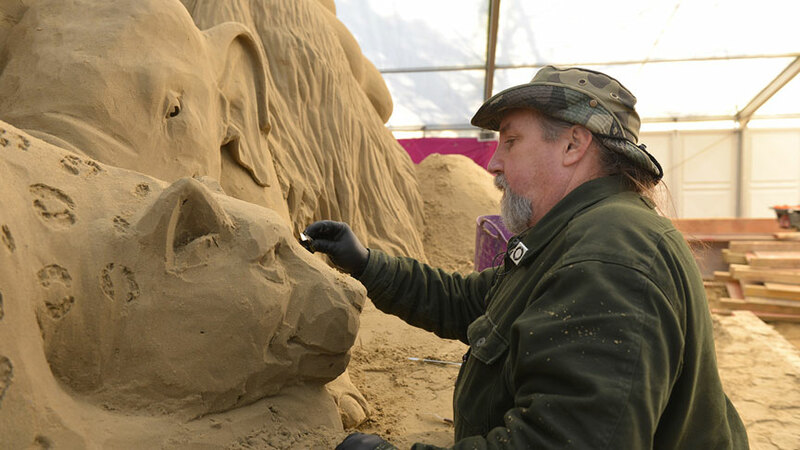 The exhibition of sand sculptures are amazing, the cafe is informal and the activities are really good fun. 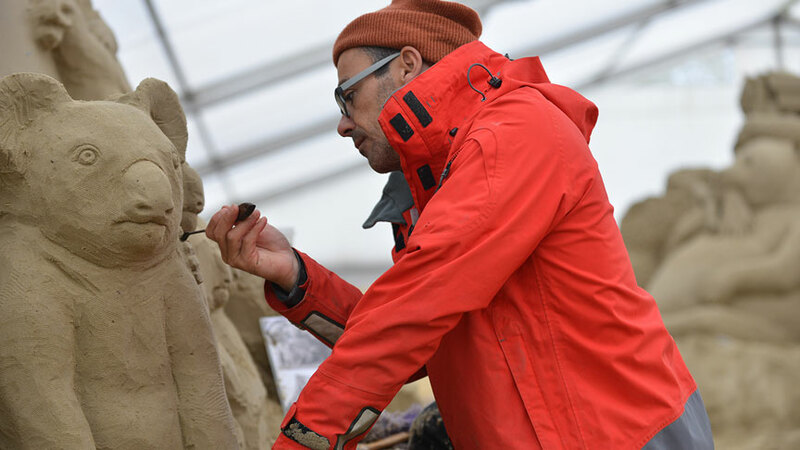 Giving our children the chance to actually try sand sculpture for themselves (with help) was great, they enjoyed this immensely and got lots from our trip to this inexpensive and truly gratifying attraction; If you do nothing else in Weymouth, try this, you'll love it and if you have children (of ANY age), they'll love it too. This is very artistic and must take hours to achieve. 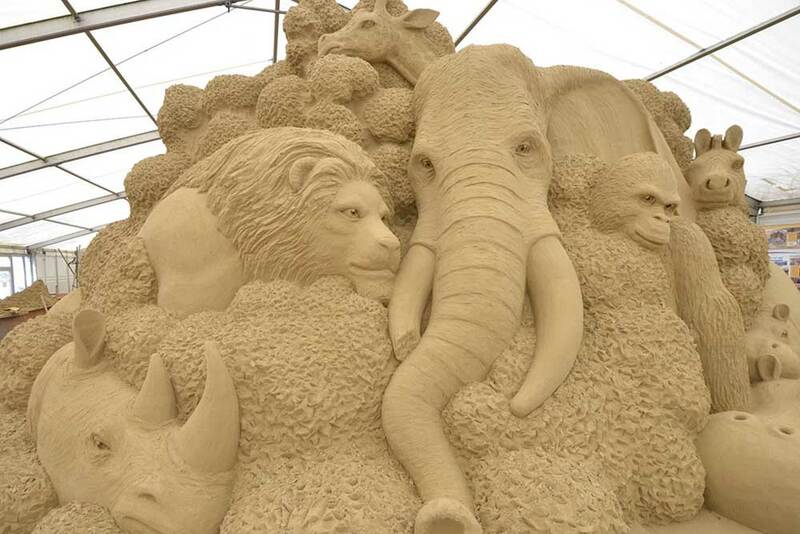 We looked in oar at the wonderful scenes and sights carved out of sand. The detail is absolutely amazing and certainly worth a look. 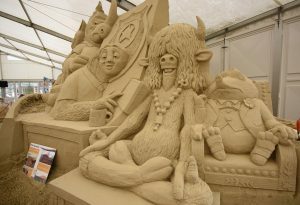 The Sand Sculptures are a must to see as are so cleverly done,for Young and old to enjoy.The entrance fee is a good price too and being as its on the Sea Front you have many things to do around the area.